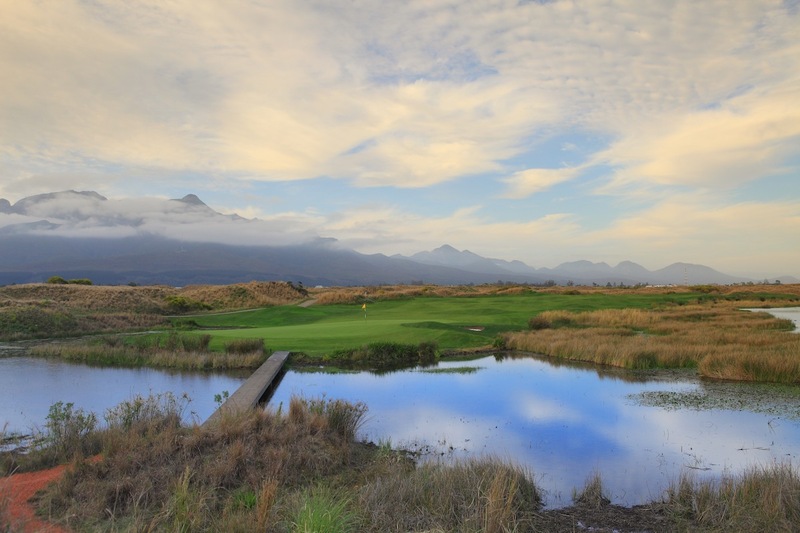 Located along South Africa’s popular Garden Route, the Fancourt Estate had existed for more than 100 years before it was transformed into a golf destination in the 1980s when Gary Player designed the first of his four courses here. Following a string of financial failures, the estate was purchased a decade later by Dr. Hasso Plattner, the German founder of software giant SAP. 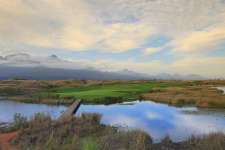 Plattner had ambitious expansion plans for the resort, which included the addition of a “links” course to be built on an adjacent airstrip with no natural features and a heavy clay base. As far from genuine linksland as you could find, Plattner and his designers, Player and Phil Jacobs, dumped 700,000 cubic yards of soil onto the flat site and then pushed it around to build their own dunescape. The aim was to create a unique linkslike experience complete with lumpy fairways, pot bunkers and thick off-color native grasses. Daunting from tee to green, the course is extremely long with well-bunkered fairways set between ragged dune ridges that rise up to 20 feet high. The majority of targets are shaped to present genuine ground versus aerial options. The severity of the challenge presented by the Links is evident from the demanding opening hole, which is tight from the tee and, like the adjacent 18th fairway, occupies the naturally higher ground. Feature holes down on the main paddock include the downhill par three 2nd hole, the brutal par four 3rd, dotted with deep traps and a burn guarding the front of its small green, and the short par four 6th. On the back nine, the bumpy 10th rises to a wicked plateau green, while the 12th is a murderously long par four that ends with a narrow target sitting atop a crest and falling into a hidden pond on one side and steeply down into a deep hollow on the other. The 15th is the postcard hole, a difficult dogleg left around wetlands that extend all the way to the green and even wrap around the back and right side of the target. 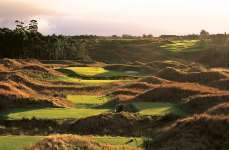 The most obvious sore point with The Links is the unnaturalness of playing corridors, which are often softly rolling and lacking in the awkward stances and odd bounces that typify a traditional links, but surrounded by messy dunes. These are certainly not the most realistic dune creations in golf, but of all the manufactured links–style courses worldwide this is clearly the most intimidating.